The last time Apple updated its iPads, it was easy. The company introduced the new iPad Pros, and if you were in the market for the most powerful, most expensive models, you had your answer. And equally if you didn't need that power, or for some reason had other things to spend a thousand bucks on, you still had the iPad. Strictly speaking you also had the iPad mini, but until the 2019 refresh, that was last updated in 2015. The smaller physical size was still good, though less compelling if you had an iPhone XS Max, but otherwise the specifications were so far behind the regular iPad that it wasn't worth considering. It even looked as if there might never be an update to the iPad mini. Now there has been a sizable update, though, and it's come alongside a new iPad Air, so suddenly everything is different. Everything is substantially harder, too, as each available model has advantages and disadvantages over the other. That said, Apple seemed to lose its knack for positioning MacBook models at specific price and specification points, but it's back on track for the iPad. Whatever your budget and whatever your needs, there is now an iPad that fits in the sweet spot for you —if you compare them carefully. 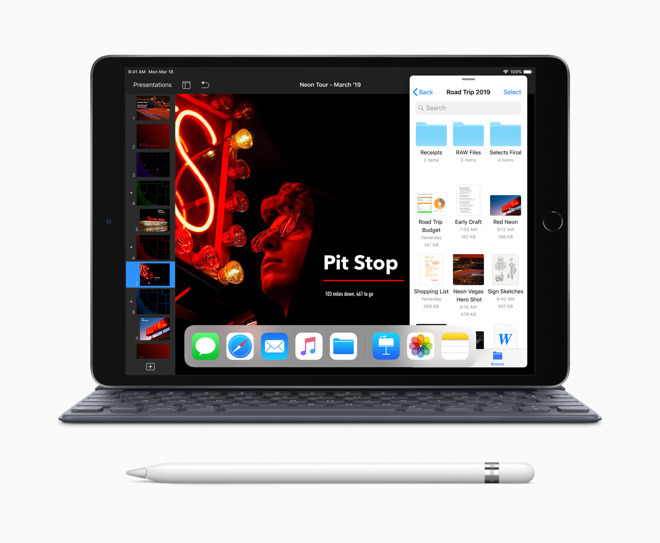 If you just need an iPad and any will do, or if you have to buy very many of them for your work or school, the regular iPad, the sixth generation, is the cheapest at $329 for a 32GB Wi-Fi-only model. You will be able to get it cheaper through education discounts, or if your company participates in an Employee Purchase Plan, but the saving will be in the order of a very few bucks. You will also at times be able to find this iPad in Apple's refurb store but while always a good buy, you can never predict what models will be available, plus you can never get them in bulk. 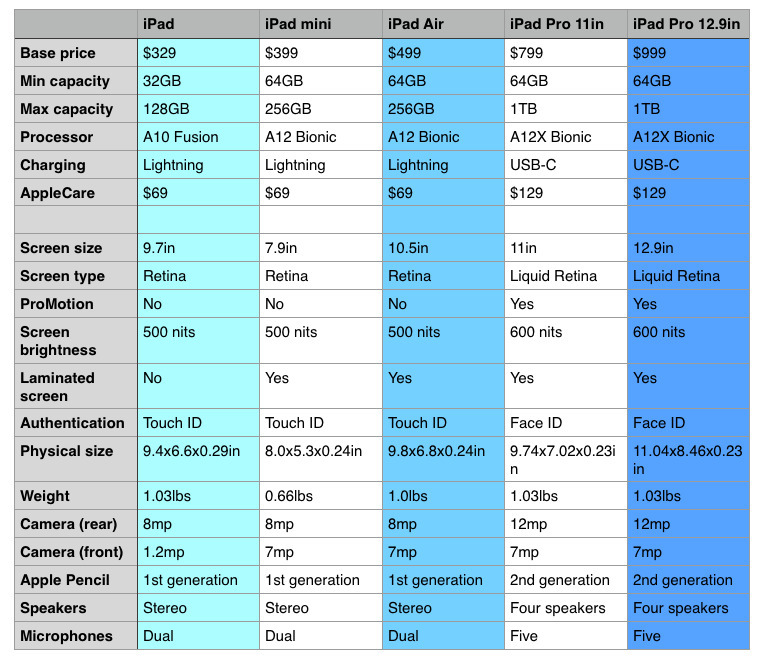 Pricing is the regular iPad's sole advantage, however. The screen is smaller than on all other iPads bar the mini, for instance, and it is also the slowest iPad in the range. When it's your first iPad or you're updating from a much older one, that speed won't be an issue but it is marked when you use any other current model. If it seems odd to call a $329 device an entry level model, well, it is still an iPad. Even with these limitations and deficiencies compared to the rest of the range, it's a better buy than a nameless Android tablet. And only one year ago we were calling it the great new bargain iPad. 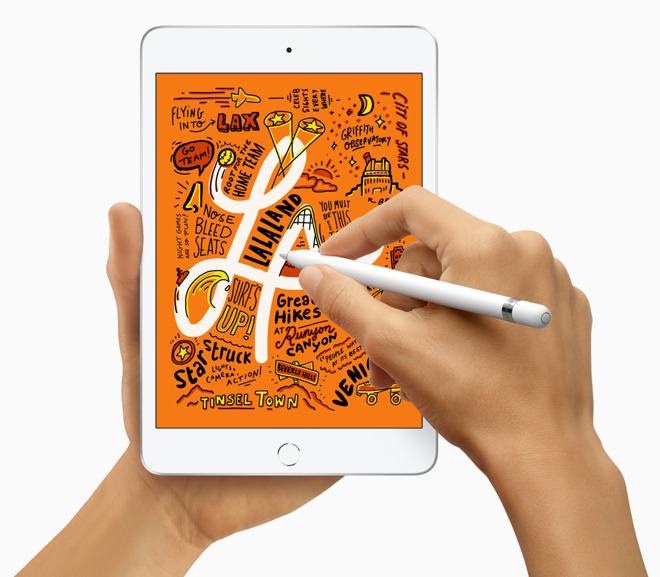 When you can afford to consider the initial purchase price against just what you'll be using your new iPad for, you will really be considering the new iPad mini and iPad Air next. You could spend more on a sixth-generation iPad to get one with greater capacity, but the only option there is 128GB at $429. 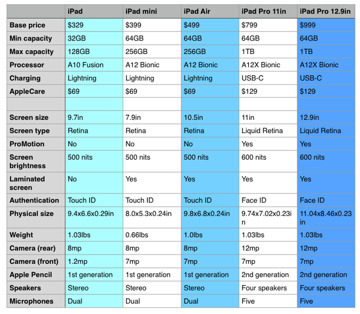 That's still less than the iPad Air's base price of $499 or the iPad mini's $399, but those both start at 64GB. Plus if capacity is vital to you, these new models can be bought with up to 256GB. As with the sixth generation iPad, you may get education discounts but you're unlikely to see these models appear in Apple's refurb store for a while yet. You can, though, always check out the current best prices in our continually updated iPad Air price guide or our iPad mini one. Even at full retail price, however, these two new models slot in above the regular iPad and below the iPad Pros across cost, performance and features. However, it's not as simple as a straightforward sliding scale where you just pay what you can afford and thereby get the best that you can. The new iPad mini reintroduces the smaller form factor and that makes a much greater difference than you might expect. Intellectually, it's very easy to understand that 7.9-inch screen is smaller and easier to carry around than 9.7-inch or 10.5-inch one. Plus you know, without even thinking, that of course the iPad mini is going to be lighter. The new iPad mini weighs 0.66 lbs compared to the regular iPad's 1.03 lbs or the new iPad Air's single pound. Only, this is a case where the specifications just do not cut it. You have to hold the iPad mini in your hand and use it, before you appreciate just how good this machine is. In theory, you lose out on the screen size, but that's as likely to be an advantage as a disadvantage. If you're going to be traveling a lot, and especially if you're going to use it less for creating work and more for enjoying reading or watching films, the iPad mini is ideal and the $399 price is a bargain. This is a case where the price is lower than the other models, bar the regular iPad, but you're really buying a premium product. If you would pay extra for a small iPad, well, you could buy an iPhone XS Max, but go for the iPad mini instead. The original iPad Air, back in 2013, was the iPad done right. Its combination of lightness and screen size made it excellent and an obvious good buy. In comparison, the 2019 iPad Air is not as remarkably different to what has come before, but it is still compelling. Compared to the sixth-generation iPad, this new iPad Air's most immediately obvious difference is in its screen. While adding only 0.4 inches to physical unit's height and width, the new model has moved from a 9.7-inch display to a 10.5-inch one. However, that screen is laminated so it looks better than the sixth-generation iPad but is more costly to repair. All the current iPads bar that sixth-generation one now have a laminated screen. It's not going to take you long to spot the next big difference between the Air and the sixth-generation model, though. The iPad Air 2019 uses an Apple A12 Bionic processor —as does the new iPad mini —where the regular iPad has an A10 Fusion. For an idea of what that means in real use, AppleInsider previously compared that A10 in the regular iPad with the A9 in the previous version. While it depends what you are doing on the iPad, the figures showed that the A10 was between 23 and - amazingly - 53 percent faster. So that was a quarter or a half as fast as the previous model. 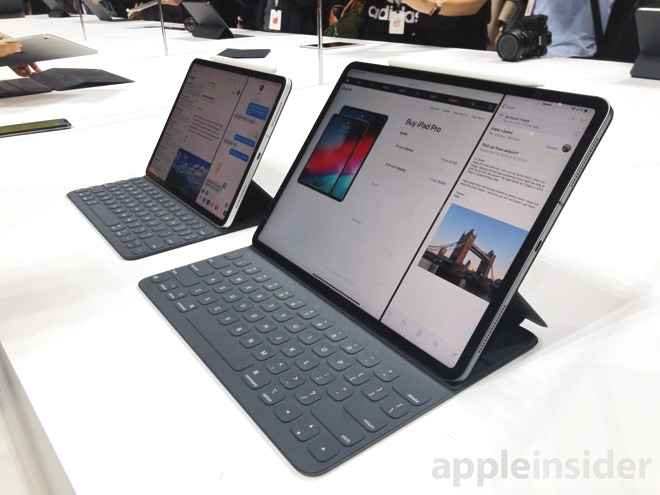 The new iPad Air's A12 Bionic processor is going to be faster still, and that means at a base of $499 for 64GB, the 2019 model comes out in the middle of the iPad lineup for both price and performance. The screen, as good as it is, though, is not as good or as bright as the ones on the iPad Pro models. The sound is not as great, either, with the iPad Air having stereo speakers while the iPad Pros both have four. And the iPad Air is not as fast as the iPad Pro models. We have gained a new iPad Air and a new iPad mini, but we've also lost an iPad Pro. The 10.5-inch iPad Pro perhaps always felt a little redundant next to the 11-inch model but now Apple's made the choice clearer by selling one large and one enormous iPad Pro. A lot changes when you look at the two surviving iPad Pro models, and not just in terms of size. The base iPad Pro models with 64GB storage are $799 for the 11-inch and $999 for the 12.9-inch one. There's also an increase in the cost of AppleCare, if you buy that. For the sixth generation iPad, the iPad mini and the iPad Air, AppleCare costs $69. For the iPad Pro models, it's $129. However, there is also a security difference. While all other current iPads feature Touch ID, the iPad Pros have Face ID. It's not a reason to drop 300 bucks to get an 11-inch iPad Pro instead of an iPad Air, but it's a very good feature when you have it. More obviously worthy of the extra cash, though, is the screen size. Both the iPad Pro models have bigger screens than the rest of the iPad range. That difference is no longer so stark when the new iPad Air's screen is now 10.5 inches as compared to the 11 inches of the smaller iPad Pro. However, it is still vast when you compare that Air to the 12.9 inches of the largest iPad Pro. That difference means that the larger iPad feels like having the screens of two regular iPads side by side. You can get two full-sized iPad apps in that space, whereas with the smaller iPad Pro and iPad Air show slightly shrunken apps. You will use two apps at a time on the iPad Pro, too, because the speed of the machine makes it as usable as it is convenient. Both iPad Pro models use Apple's latest A12X Bionic processor plus they have better screens, too. The iPad Pros use what Apple calls a Liquid Retina display. During its introduction to this feature on the iPhone XR, Apple trod the fine line saying that this is significantly better than a Retina display but not quite as great as the OLED displays of the iPhone XS and iPhone XS Max. However, that better display could be a reason to not buy the iPad Pro —or at least not yet. It's a decent hope that the next generation iPad Pros, probably out in September or October, will bring OLED screens. In that sense, the 2018 iPad Pros, as markedly redesigned and even as good as they are, could later feel like interim models. There's no disputing the speed, though, and that's put to particularly good use. Both of the iPad Pro models feature ProMotion which means that different parts of the screen can be refreshed at different rates. So, if you're doing finely-detailed work with the Apple Pencil in one part but nothing is changing in another, the iPad will refresh those two parts of the screen at different rates. Plus the rate in question is much higher than on any other iPad. Where the non-pro models refresh the screen at 60Hz, the iPad Pro ones can go to 120Hz. This means the screen is vastly more responsive yet it doesn't needlessly consume battery power. You get that with any version of the iPad Pro, but then there are options for greater storage which you can choose at purchase. Only the iPad Pros can be bought with 1TB capacity —although it'll cost you an extra $750. Lastly, these iPad Pro models have switched from Lightning charging to USB-C —and they can charge other devices from their own battery. They can become the central hub of all your work. If you argue that the regular sixth generation iPad is good for consuming media, the top range iPad Pros are capable of becoming your sole computing device. People have been making arguments for and against the iPad as a primary device since the very first model, though. The iPad is now, as it has always been, what you make of it —the same as any given Mac, PC, phone, or smartwatch. 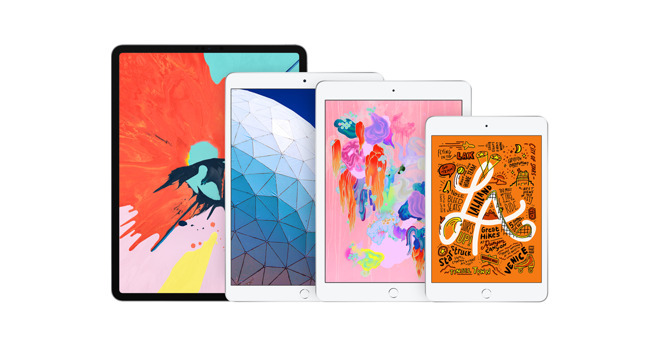 Apple authorized resellers are currently accepting pre-orders for the new 2019 iPad Air and iPad mini 5 with no sales tax collected in many states. To reserve your spot in line, visit our iPad Price Guide and look for the configuration of your choice.